Buying bulk champagne glasses helps you save money and you can use these glasses for many different cocktails, not just straight champagne. Whether you want to change things up at your establishment or just need the right glass for your special occasion, serving champagne and champagne cocktails at your special event adds a touch of elegance that will be appreciated by many. Purchase Champagne glasses easily from local suppliers and online. However, if you're looking for unique glasses in addition to the standard flutes, consider the following outlets. Discount Mugs - This outlet has a wide variety of flutes both in style and color. They also offer the option to print the glasses if you're purchasing them for a special event. Flutes must be purchased by the dozen for discount pricing. Bargain Mugs - Buy your dozen or more champagne flutes here for deep discount prices. They offer over six different styles of champagne flutes and they may also be decorated for special events. eFavormart.com - If you're in the market for disposable champagne flutes, this supplier has them in a variety of styles. The cost for one dozen plastic flutes is comparable to a single glass flute. Simply Smart Living - If you're looking for unusual and colored plastic wine flutes, Smart Living has a wide variety. 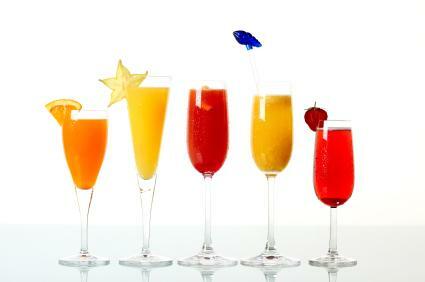 Choose from lightweight plastic, polycarbonate plastic and acrylic flutes offered in just about any color imaginable. As you can tell, bulk champagne glasses are versatile and have many different uses for many occasions, from a wedding to a champagne toast at a summer get-together. Buying them in bulk has its advantages. First, they're less expensive than buying just a few of them at a local home store. Second, buying them in bulk assures you that you'll have more at hand when you need them, even if an occasional glass is broken. Finally, they may inspire you to create more drinks throughout the year, which is something any bubbly wine connoisseur will appreciate.